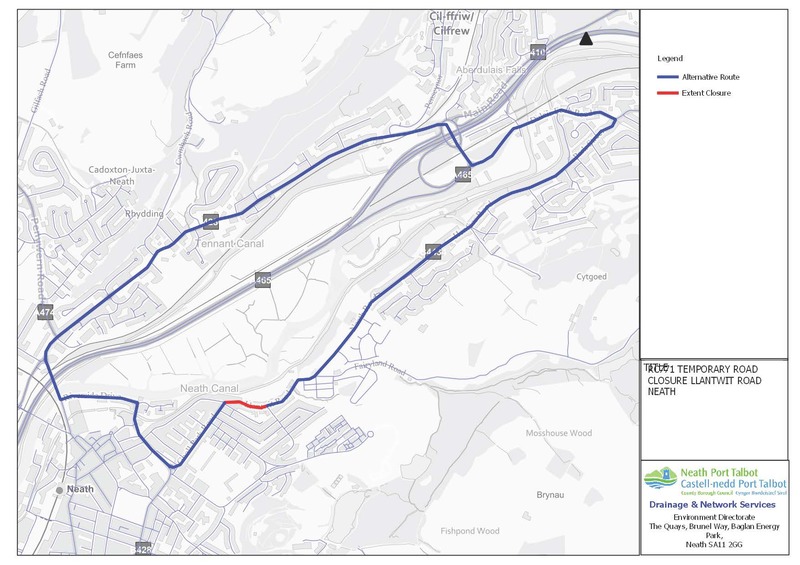 An agreement between Wales and West Utilities and Neath Port Talbot Council will see the provision of a free shuttle bus service during a road closure along Llantwit Road, Neath. 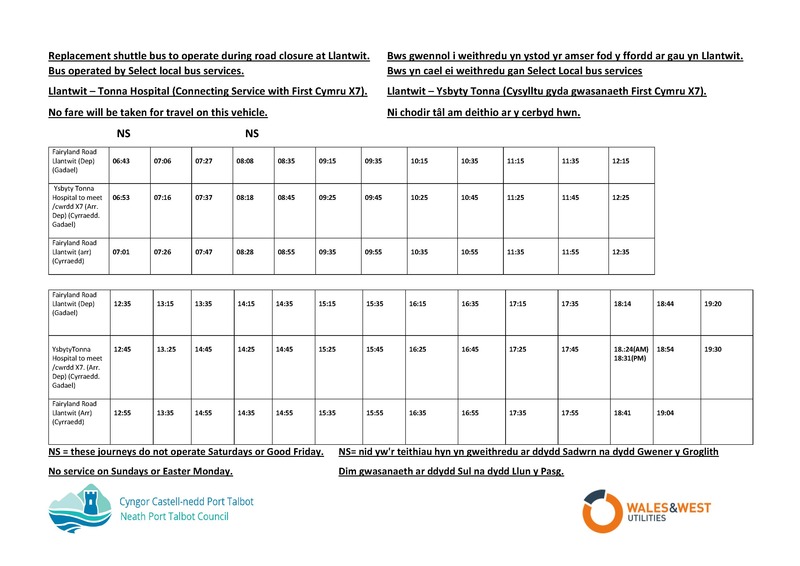 The First Cymru X7 bus service will not operate between Tonna Hospital and Llantwit during this time. However, following negotiations, a replacement shuttle bus service will be provided by Wales and West Utilities for the duration of the closure.